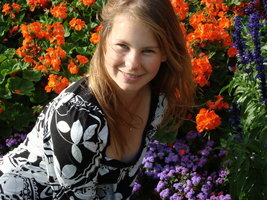 Laura Schaposnik (25) is a graduate student at Oxford University, reading for a D.Phil. in Mathematics. In her spare times, Laura tries to capture the life surrounding her in pictures. Some of the photographs have won honorable mentions at the EverymanPhotoContest and the National University of La Plata (Argentina) photographic competition. Finally, in 2011 she was given a Cultural Award from New College, Oxford, to support her photography. This Portfolio is dedicated to a collection of the photos I have taken at Oxford since 2008. It has been inspired by a current charity project Laura is involved with, Oxbrige Callendars. If you would like to see other types of photos, take a look at my Photography Portfolio.